Vodafone, the world's second-largest mobile phone group, has agreed a $22 billion deal for Liberty Global's European assets that will see it challenge Deutsche Telekom for Continental market dominance. 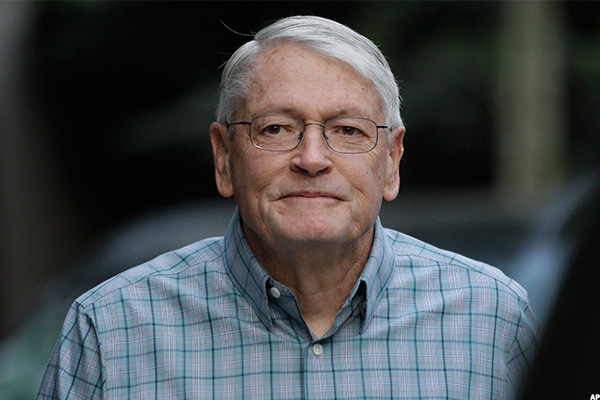 John Malone is in retreat. Vodafone Plc (VOD shares rose firmly in London trading Wednesday after the world's second-largest wireless carrier agreed a $22 billion deal to buy several European media assets from John Malone's Liberty Global (LBTYA . Vodafone will pay €18.4 billion ($21.8 billion), including debt, for Liberty Global's Germany operations, as well as the group's businesses in he Czech Republic, Hungary and Romania. The deal, which must first be cleared by European Commission regulators, would give Vodafone a European "on net" customer base of 54 million homes and a total reach of 110 million throughout its so-called "next generation network". Vodafone said the deal will create "cost and capex synergies" of around €535 million per year for the next five year, a figure which translates to around €6 billion on a present value basis. "This transaction will create the first truly converged pan-European champion of competition," said CEO Vittorio Colao. "It represents a step change in Europe's transition to a Gigabit Society and a transformative combination for Vodafone that will generate significant value for shareholders." "We are committed to accelerating and deepening investment in next generation mobile and fixed networks, building on Vodafone's track record of ensuring that customers benefit from the choice of a strong and sustainable challenger to dominant incumbent operators," Colao added. "Vodafone will become Europe's leading next generation network owner, serving the largest number of mobile customers and households across the EU." Vodafone shares were marked 1.05% higher in the opening hour of trading in London and changing hands at 209.85 pence each, a move that trims the stock's year-to-date decline to 10.7%. Deutsche Telekom AG (DTEGY , Vodafone's main European mobile rival, is likely to lobby against the deal in Brussels, as it not only challenges its home-market dominance but also re-trenches Vodafone in the faster-growing markets of eastern Europe. Interestingly, the Vodafone deal comes just hours after Deutsche Telekom nudged its full year earnings outlook to €23.3 billion (from €23.2 billion) after its first quarter results were boosted by a stronger-than-expected performance by it T-Mobile US (TMUS - Get Report) unit, which recently agreed a $26.5 billion billion takeover of Sprint Corp. (S - Get Report) . DT's non-German European revenue grew 1% over the first three months of the year to €2.8 billion, the company said, while adjusted operating earnings rose 2.5% to €900 million. In its home market, where DT has more than 10 million customers on its fibre optic network, DT's revenue grew 1.3% to €5.325 billion. US revenue, by contrast, was up 5.9% to €8.455 billion, lifting adjusted operating earnings 2.3% to €2.332 billion.